Kia Soul. Photo Jennifer Weber 2010Sometimes you just have to say what's on your mind. Or at least part of it. The part you can spare. For me, this is one of those times. If you don't like that kind of thing, here's your cue to click out the same way you clicked in. I never promised you a rose garden. Au contraire. This is going to sound whiny, but why-oh-why can't folks get the words "breathe" and "breath" straight? People! You can't "lose your breathe" … well, I guess you can, and if you do may God be with you, but you cannot write it that way and appear intelligent. "Breathe" is a verb. "Breath" is a noun. Please be advised. Same with "loose" and "lose" … good grief. Consult a dictionary. If you are truly unable to distinguish between those two one-syllable words, you should not have been promoted out of fourth grade. If you are a third grader, I forgive you. Just this once. I will never understand certain automobiles. Kia, for example. Today I saw a Kia Soul. It looks like a miniature hearse. Why would anyone drive that? Especially in black? Please, if you know the answer, leave a comment or send me an email. I will try to keep an open mind. The elderly-ish receptionist at the law firm where I spent the day today told me so many times that her favorite color was blue, I was beginning to think she had neglected to take her medication. "Almost all my clothes are blue, except the ones that are black. My dishes are blue," she said. "Kind of like Wedgwood blue." We do not give every time we are asked, but we give every time we can. 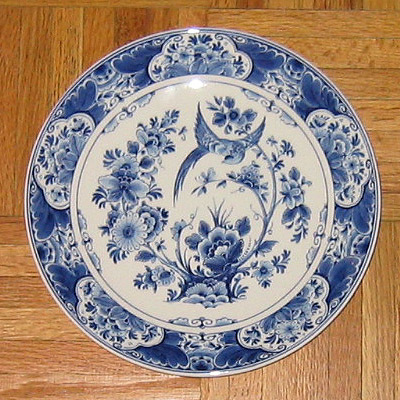 To make conversation, I asked if she likes Delft. Her brow knit and she appeared confused. Moving on quickly, I told her about my granddaughter's sapphire-blue eyes. She told me that her husband has asked her repeatedly why everything in their house has to be blue. She said she finally threw in some yellow to make him stand down on the subject. I'll bet he doesn't forget to take his medication. Another elderly lady on staff at the same law firm -- which was chockablock with really nice, chatty, older people -- ergo, I fit right in -- was wearing a sweater that brought to mind those chocolate cupcakes with the white icing loops on top. Now I can't stop thinking about those. "Two to a pack!" she exclaimed when I commented on it. Her eyes were very blue. I do believe most people are lonely. Lonelier than we imagine. This is going to sound mean and honestly I don't intend it that way, because I am truly sorry about what happened in Haiti, but I am getting tired of being hit up at every single cash register in Christendom for a dollar for the Red Cross. No matter what they say, I do not believe every one of those dollars being collected goes directly to the needy in Haiti. Somebody somewhere is skimming. And when is the last time you heard anyone ask for a single cent to save even one unborn baby slated for destruction in an abortion mill right here in America? Who needs third-world earthquakes to kill children? After fielding that lady-can-you-spare-a-buck question half a dozen times the other day, I visited a store that was working a new angle: collecting for diabetes research. When I declined -- yet again -- to contribute, muttering grumpily that I was really quite OVER being asked to donate a dollar to something or other every time I made a purchase, the cashier stopped what she was doing, looked right at me and said, solemnly: "We do not give every time we are asked, but we give every time we can." Who's "we"? Had she a ferret behind her back? And since when is a lecture -- however brief -- on charitable philanthropy part of the retail check-out process? May I please opt out of the paint-you-with-the-guilt-brush-as-you-selfishly-buy-something-for-yourself phase of my shopping experience? Thanks ever so. At Walgreens they take it a step further … in the wrong direction. After asking if you want to give to the Red Cross, they start pointing to various items cluttering the counter -- chewing gum, batteries, et cetera -- so much stuff there's barely room to stack up the merchandise you've already decided to buy -- and asking if you're "sure" you don't need any of it. When you say yes, you're sure, they ask if you're "sure" you shopped long enough and hard enough in their store and didn't "miss out" on the many great deals. Do I look as though I need to be counseled in the shopping arts? At Walgreens? Do I look as though I am blind or no longer in my right mind? Do I look as though this is my first rodeo, folks? Do I? Ladies, ladies, ladies. When you are large, you do not look good in pants. Even if you are not large, most of you do not look as good as you think. In pants, that is. Must blue jeans and khakis and sweat garments be the national uniform for females? Can we think beyond the tattered rim of that well-worn brown paper bag, just for a mo? May I make a wee suggestion? Conceal the exact coordinates -- not to mention the topography -- of your girly goodies and allow your pretty ankles to see the light of day. No matter what everyone else is wearing. Dare to be different. Innocent people all around you are hoping to arrive alive. And lots of you should wash your hair daily, whether you are convinced it needs it or not, and while you are scrubbing maybe even consider getting it cut into a real, actual style. Discover hair color while you're at it. Also, learn to apply a smidge of makeup. Would a flick of mascara, a jot of powder, a scintilla of lipstick kill you? If any or all of the above comes across as snarky, well, that's what I was going for. Forgive me, but honestly, the view could improve. Women are supposed to be feminine and pretty. And modest in appearance. I didn't make the rules so don't get mad at me. If you don't know how to fix yourself up, ask someone to teach you. Make an effort. Men at church, stop touching ladies to whom you are not related. That sly little side-hug and shoulder-squeeze with optional pull-away back-rub to which you help yourself in the name of fellowship? It's not okay. For the sake of Christian propriety -- or, failing that, simply to behave like a gentleman (imagine! ), -- do not touch any woman unless she extends her hand to be taken (gently, there are rings), or generously offers to hug you for reasons known only to her and God. While we're on the subject of men at church, I would like to add that if you are separated from your wife and/or in the process of getting a divorce, sir, you should not take that as a sign to begin looking over the field of single women in the congregation and forming designs on one of them, and sharing the fact of your budding interest with others until, incredibly, it's more or less common knowledge that you're attracted to someone other than your out-of-sight-out-of-mind wife. If you'd like for me to calm down, the last thing in the world you want to do is tell me to calm down. I get to criticize my kids, but you don't. Get to criticize them, that is. At least not to my face. Or my ear. This means YOU, unless you are TG. He gets to say whatever he wants. Whisper it to me, darling. I have seen two horrendous car accidents on I-26 in the last five days. I wish people would slow down, or pay attention, or something. Whatever it takes. Be more careful. Put the phone away. Concentrate on your driving. Innocent people all around you are hoping to arrive alive. If you are a person with hiring authority within an organization, and somebody goes through proper channels to submit a resume for your consideration of their qualifications for a job within said organization, it's rude and dismissive to answer that inquiry via a relative of theirs you just happen to see while out and about the countryside. Dig deep! Summon from somewhere within your amazing self the decency and class and professionalism to contact the job applicant yourself -- even if you are chummy with their cousin -- and speak to them directly about the matter. Do it as a sign of respect for the fact that someone thought enough of you to consider working for you. Just so you know, it's not cute or funny or acceptable to do it any other way. It makes you look very weak, if you really want the truth. No matter who you are, or how important, or how sought after, or how necessary to the process, or how much a mover and shaker, you perceive yourself to be. Tres, tres gauche, n'est-ce pas? I'm getting very tired of being jerked around by folks who make their living in "full time Christian service." Just saying! Nobody likes to be manipulated or patronized, but I admit to a less-than-impressive tolerance for being talked down to, or smarmed into near-oblivion, in the name of God. Just because you collect your pay from a church, doesn't make you Him. Not even close. And before you go away thinking I'm one of those rebels, think again. I'm more in tune with the concept of pastoral authority and God-ordained chain of command than most people. But I've been around the block a time or two when it comes to ecclesiastical sleight of hand, and with certain all-too-common practices I'm approaching my limit. Dangerously near, one might say. As in, stand back. For a refreshing change, church leaders, how's about letting all that rampant piety work itself into a modicum of propriety? Just a random idea. You don't have to do it all at once. Rome wasn't built in a day. Cruel rumors of Johnny Depp's untimely demise are premature. He's alive and pretty as ever. Iconic Chic. Photo Jennifer Weber 2010Barbara Walters was ridiculed many years ago for asking Katharine Hepburn what kind of tree she’d be if she could in fact be a tree. As for favorite things, Oprah Winfrey has sort of trademarked this term but as far as I know -- God complex notwithstanding -- she has no patent on the concept. But I have lots of favorite things too. I also have the worst case of writer’s block since the invention of the spray nozzle. What to do? Why, build on my last post, of course! It involved reminiscing about a certain garment and included the declaration that if I were a fabric, I would be black velvet. I won’t rest on my (diminutive) laurels but I’m not above making a skinny rope from them. Chanel Number Five. The ultimate fragrance, this perfume defines me. My darling keeps me in EDP spray because it is his favorite too. This year for Christmas he spared not the horses and got the iconic art-deco bottle (pictured above) that practically makes me break out into nervous hives whenever I look at it. It is that devastatingly, impossibly chic. The understatement! This brand, this bottle, this fragrance is the very soul of romantic elegance. It is the bottled memory of ten thousand crushed flowers warmed by the sun somewhere in the South of France. When I wear Chanel No. 5 I feel strong and special. I am literally inspired. Isn’t that what a perfume is supposed to do for you? If I were a fragrance, I would be Chanel Number Five. It’s my favorite perfume. This music is dark. It is also emotional and tender and brave and romantic and loud and soft and hurried and slow and deep and turbulent and scary and shadowed and blinding and passionate and heartbreaking and wild and tame and literal and enigmatic and veiled and fiery and cool and glorious and unashamed. If I were a piece of music, this is the one I’d be. If forced to bring it in under four minutes, I'd be the Eighteenth Variation from Rhapsody on a Theme of Paganini. In this performance I don't know where the piano tops went and I think at least 2 of the 5 Browns are going to need a chiropractor, but they've captured the essence of this mysterious work of art much like Coco Chanel harnessed the inner being of flowers. That’s all I can think of right now. Part II forthcoming when inspiration strikes. Evans Label. Photo Jennifer Weber 2010It was the autumn of 1977 and I was an almost-penniless 20-year-old senior at a medium-sized Northwest Indiana Bible college. There were strict rules at that place, which I actually loved and of which I have fond memories (the place ... not necessarily the rules). For fun, mostly we went to the mall, where we ogled stuff we couldn’t afford at stores like Carson Pirie Scott and Rosalee, ate cheap hamburgers at York Steak House, visited Walgreens for shampoo and emery boards, then headed back to the dorm before curfew. And so it was that one night I wandered into Evans, a store that purported to dress glamorous, fashionable females at prices north of Sears Roebuck but south of insane. It had been hung for display on a rack all by itself and placed at the very end of a long, open, luxuriously carpeted and softly lit space, with fetching merchandise lushly arranged on either side. I don’t remember how much it cost. It was itself long, and black (by far my favorite color to wear, even then), and soft, and mysterious, and unique, and rather expensive. It was a full-length velvet coat in exactly my 1977 size: seven. Inside, sewn into the shiny satin lining just below the collar, was a huge black label with Evans ... Chicago Paris Milan emblazoned in elegant white. Farther down the skirt, on an inside flap not far above the hemline, was another label -- this one itself in snowy white -- with the words Junior Belle New York monogrammed in stunning black cursive. The labels spoke to me in a language I understood innately, and which filled me with a strange excitement. And I simply had to have the article of clothing defined by those labels. I had never seen anything like it, or for that matter any garment that was more utterly, undeniably, inescapably me. So -- trembling -- I tried it on. And found to my delight that the coat had been designed and constructed especially for my frame, my femininity, my attitude, my sartorial vision, my inner glamour girl. I wore it yesterday, to church. The coat’s waist cinched with a wide self-belt. There were little tabbed epaulets on the shoulders, and other trench-coaty details gave personality to the bodice and sleeves. The voluminous skirt had been cut from a full circle of fabric and its heavy folds swayed, gracefully flirtatious, just below my knees. I don’t remember how much it cost; I only know that without thinking thrice I put it on layaway and scarcely thought of anything else until, several weeks later, I paid the balance and walked out of Evans with my gorgeous black velvet coat, swathed in protective plastic, draped over my arm. Last night I talked by cellphone with an old and dear friend as she drove, alone except for two dogs, the long miles between her parents’ house in Inverness, Florida, and her own home in Huntsville, Texas. She was, in fact, my roommate during my senior year in college ... the year I found and bought my beloved black velvet coat. She gasped, delighted, and, with the unconditional generosity of long friendship, assured me that she recalled the glamorous swath I tore through the landscape while wearing the only black velvet coat on campus. My friend was incredulous that I still have the coat (although Jimmy Carter was in office the last time I fit into it), as well as the long antique-ivory lace scarf, dripping with fringe, that I always wore hanging down the front as a counterpoint to the inky-black velvet. In 1989, following the birth of my fourth child and only son, I bought a second black velvet coat. Although its cut and style is more matronly than that of the tiny-waisted ingenue that was its predecessor, the coat is equally glamorous (I think), and it still fits. In fact I wore it yesterday, to church. If I were told I could no longer be human but was obliged to morph into a length of fabric, I would aspire to be black velvet. Dramatic yet soft, black velvet is feminine and alluring and faintly dangerous. Beginning as humble cotton, my black velvet coats were woven and cut and dyed and shaped and sewn into elegant and beautiful -- while surprisingly durable -- warmth-giving things. In a denim world, black velvet takes no prisoners. It brings a thrill of timeless glamour to everyday life. It is a treat to see and to touch. It is an experience unto itself, for reasons known only to those affected by it. Black velvet plays for keeps. I want to be exactly like that.